Originating in the ocean tides are long-period waves that move through the ocean towards the coastlines where they appear as the regular rise (flood) and fall (ebb) of the sea surface. The extent of the rise and fall and the frequency with which it occurs varies from place to place over a 12- hour cycle. Tides are influenced by the gravitational pull of the Moon, Sun and the Planets. When the sun, moon are in line with the earth earth you can expect the highest and lowest tides.known as Spring Tides) When there is a half moon you can expect very high or low tides. (known as Neap Tides) A "King Tide" refers to an exceptionally high tide which typically occur during a new or full moon period. Spring tides occur at the time of a full moon. During this period the high tide will be higher and the low tide lower than average. A King Tide, is a colloquial term for an especially high spring tide. The use of the term "king tide" originated in Australia, New Zealand and other Pacific nations to refer to an especially high tide that occurs only a few times per year. The term is now used in North America as well, particularly in low-lying South Florida, where they cause sunny day tidal flooding. King tides occur because of the combined influence of a number of astronomical factors related to the Sun and the Moon, and their alignments relative to Earth. When king tides occur during cyclones, floods or storms, water levels can rise to higher levels and have the potential to cause great damage to property and the coastline. During normal weather conditions the height of the king tides will be similar from year to year. A Neap tide will occur after the first and last quarter of the lunar month. 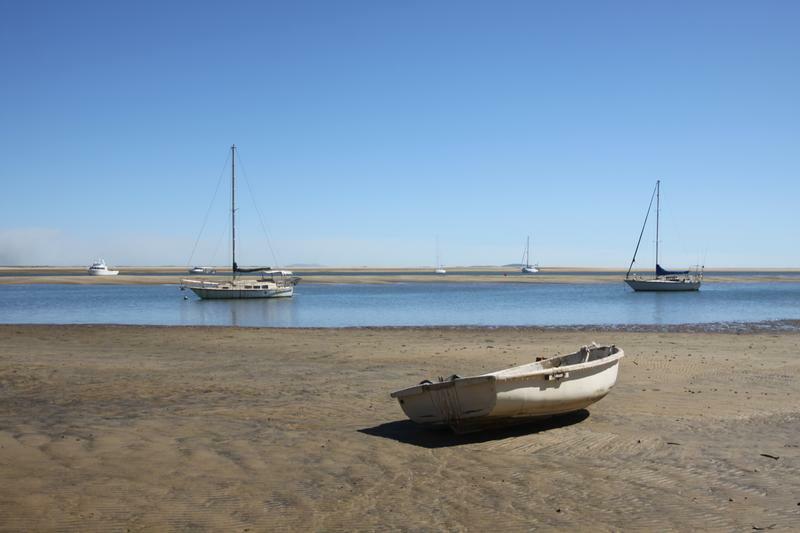 During this period the high tide is lower than usual and the low tides are higher than usual. Horizontal movement of water often accompanies the rising and falling of the tide. This is called the tidal current. The incoming tide along the coast and into the bays and estuaries is called a flood current; the outgoing tide is called an ebb current. The strongest flood and ebb currents usually occur before or near the time of the high and low tides. The weakest currents occur between the flood and ebb currents and are called slack tides. In the open ocean tidal currents are relatively weak. Near estuary entrances, narrow straits and inlets, the speed of tidal currents can reach up to several kilometers per hour. Most coastal areas experience two high tides over a 24 hour period. High tides occur 12 hours and 25 minutes apart, taking approximately six hours for the water at the shore to go from high to low, or from low to high. The shape of bays, estuaries as well as local wind and weather conditions can combine to magnify the intensity of tides. Strong offshore winds can move water away from coastlines, exaggerating low tide exposures. Onshore winds may act to pile up water onto the shoreline, virtually eliminating low tide exposures. High pressure systems can depress sea levels, leading to clear sunny days with exceptionally low tides. Conversely, low pressure systems that contribute to cloudy, rainy conditions typically are associated with tides than are much higher than predicted. The Australian Bureau of Meteorology's (BOM) Tidal Portal shows tide times and heights for approximately 700 locations around Australia.